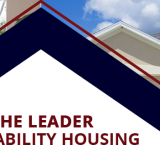 We are the leader in disability housing in the United States, with over 1400 homes in 40 states, serving over 5,000 individuals with developmental disabilities. Scioto finds and purchases properties that are safe, convenient and affordable for people with developmental disabilities. We work with provider organizations, state agencies, families, and individuals to ensure the homes we purchase are specific to the needs of the people who will be living there. I have known Mary Bea and the professional staff at Scioto for several years, including referrals of clients in need of their services. The feedback has been uniformly positive with a theme of tremendous service delivery in all cases. They have a great reputation and I wouldn't hesitate to send prospective clients their way.